Earlier this week, we showed you the cover from French magazine Les Toiles Heroiques, which featured X-Men: Days of Future Past cast members Hugh Jackman, James McAvoy, Michael Fassbender, Ian McKellen and Patrick Stewart. Today, more images from that issue have arrived (exclusive to that country), which offer new looks at Bishop (Omar Sy) and Mystique (Jennifer Lawrence). Check out the latest images, along with the magazine cover, then read on for more details about this superhero sequel from Ian McKellen and Patrick Stewart. After starring in the original X-Men franchise, Ian McKellen and Patrick Stewart return as the older versions of Magneto and Professor X. When asked if they had to sync their performances to match their younger counterparts played by Michael Fassbender and James McAvoy, Ian McKellen had this to say. "No. It's up to them to sync with us." Patrick Stewart agreed with his co-star, adding the following statement. Patrick Stewart discussed the scene where he meets his younger self played by James McAvoy. "James and I come not just face-to-face, but nose-to-nose almost. When we shot that scene, it was James' first day of work on the movie, and it was my last day. So I was saying goodbye to X-Men, and he was saying hello. James has seen everything I have done, I've seen everything he has done. He is illustrating a time in Charles Xavier's life which was very different from the time I had been inhabiting in the previous three movies, and we just let that play out. I think we've both been looking forward to doing that scene immensely." However, Ian McKellen revealed that he and Michael Fassbender never meet in the sequel. "No, No, I think he made it clear that he wanted to be his own Magneto and that suits the nature of the story and his part in it. And, Bryan Singer clearly doesn't mind that we're, Fassbender and I, don't look much like each other, although they have put out a poster where our faces are blended and you do a double take and think, ooh, my goodness, I didn't know I was that good looking and then realize the bit that's good looking is not me but Fassbender." When asked if the actors would return for the upcoming X-Men: Apocalypse, which is said to focus on the younger cast members of X-Men: Days of Future Past, Patrick Stewart had this to say. "Well I don't know if Ian knows anything about this, but I know nothing about it. 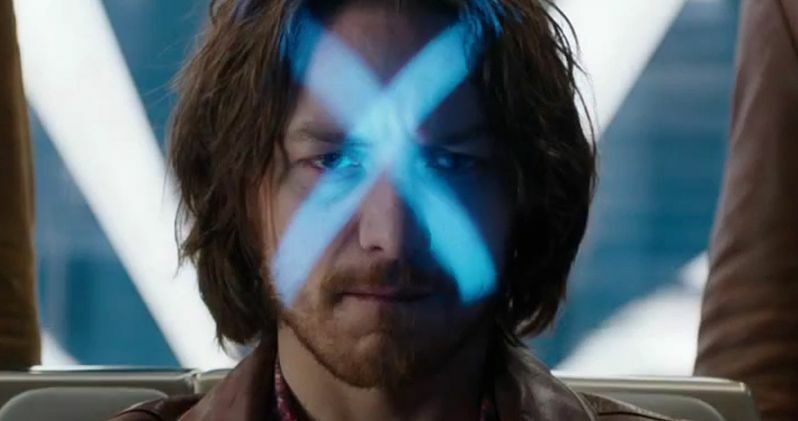 Another X-Men movie has been announced and I said yes, yes, yes, it opens in May and they say no, no, no. Not that one, the one after. Has anybody called you, are you keeping something from me?" Ian McKellen added that he doesn't know anything about the sequel either. "No, no. No, I know nothing about it. Which probably means we're not in it." However, Patrick Stewart said he hopes they bring them back. "And then they'll find they need us after all, if we're lucky."